Low Salt? High Potassium – Healthy, EZ, Yummy! I suppose all diets are difficult on some level. I’ve done them all over the decades – some are difficult to follow because they leave you hungry or the taste is awful; some are difficult to implement because they require lots of trips to the store and a ton of time in the kitchen. But the low potassium/low carb diet (literally) takes the cake! The number of foods that fit easily in both of those columns is VERY small. If it’s good for you in one diet (say, avocado in low carb) it’s bad for you in the other (potassium bomb). 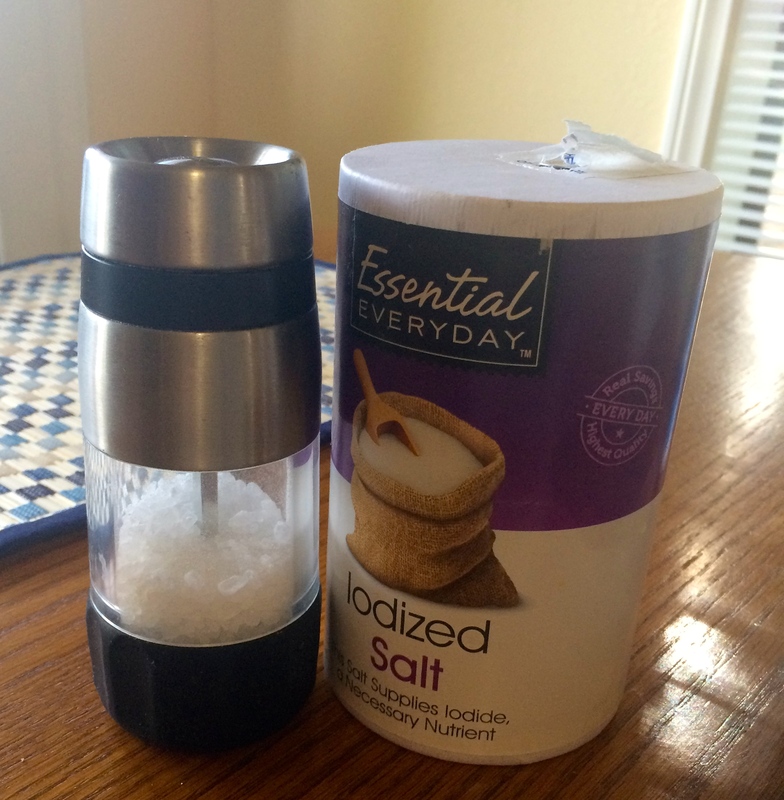 While my focus in this blog and in my kitchen is not usually on low sodium recipes, I do keep my eye on our salt intake. And the Low Salt Chicken Soup I posted last year I thought was a keeper – I’ve been feeding it to my husband for the better part of a year! It was chicken, a low potassium staple. It had noodles, but that was easy to eliminate or reduce, so I thought it would fit into the new low carb aspect of his diet. Turns out that is not the problem. Most people would take that tradeoff, but it is a big problem for people on a low potassium diet. I’m definitely not willing to serve hubby 928mg of sodium in his soup (cuz high sodium doesn’t help kidney patients either), so I sadly had to delete the Low Salt Chicken Soup recipe from this blog AND from my kitchen. On the bright side, researching the nutrition data on my soup enlightened me on an important rule for low potassium dieters: Never buy “low sodium” product offerings, as they trade off low salt for high potassium. Truth be told, soup is just not a good option for low potassium dieters unless you make it yourself, from the bottom up, no shortcuts! It’s just too high in both potassium and salt. Check your soup labels at the grocery store. They all list sodium levels, which are high high high. If you are lucky enough to see potassium on the label, you’ll see those levels are also out of the park.